For those looking for an extremely versatile, robust, and cost-effective solution for protecting multiple hypervisor environments including VMware vSphere as well as Microsoft’s Hyper-V hypervisor, Vembu BDR Suite is a great choice. I have been using and testing Vembu BDR Suite for going on three years now and it has been great to see the evolution of the product in that time frame. Vembu is a great solution that keeps getting better with each release and shows that it is intent on keeping pace with the quickly changing evolution of today’s IT infrastructure needs. 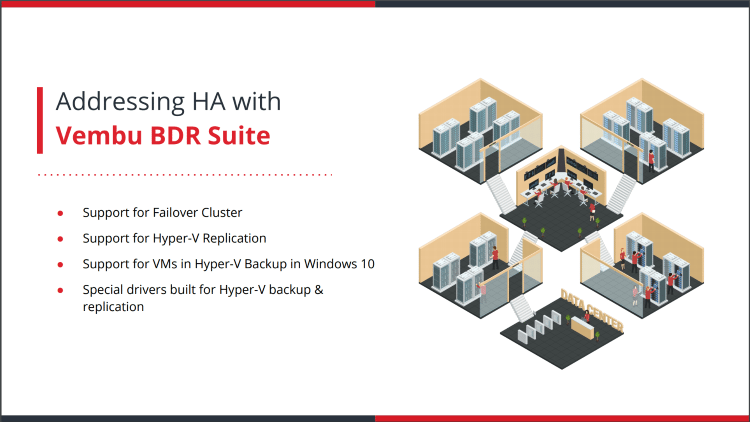 With that being said, Vembu recently held a webinar entitled “Move to High Availability with Hyper-V” that included a sneak peek at Vembu BDR Suite v4.0. In this post, we will take a look at Vembu BDR Suite v4.0 Announced Including Hyper-V Cluster Support to take a closer look at the upcoming features that will be included in Vembu BDR Suite v4.0, highlighting the new Hyper-V features. In today’s environments, having an environment that enables and provides the mechanisms that allow for high availability for production workloads is crucial. In fact, it would be ludicrous to run any production workloads on an environment that does not provide for a highly available solution. High availability helps to protect production workloads from different types of failures that can occur even with enterprise hardware. Microsoft’s Hyper-V hypervisor provides high availability mechanisms out-of-the-box and provides these abilities by way of the Windows Server Failover Cluster. Today’s effective data protection solutions must have the ability to work with those existing high availability mechanisms in the hypervisor such as Microsoft’s Hyper-V hypervisor. However, high availability is not good enough in and of itself. Organizations must leverage backups along with high availability to be able to effectively provide and meet with the required service level agreements with stakeholders. Why is this? High availability does not protect data from loss that occurs as a result of accidental deletion at the hands of administrative actions, or intentional deletion or corruption at the hands of ransomware, backups are required. Vembu’s latest announced version release, BDR Suite v4.0 takes Vembu’s ability to interact with Hyper-V environments to the next level. It does this by now supporting Hyper-V Failover Clusters. This is a major milestone release for Vembu customers who are running Hyper-V in their production environments as this allows Vembu to interact with those production Hyper-V cluster environments effectively to provide enterprise-level data protection. Let’s look at a high-level list of new features that will be contained in Vembu BDR Suite v4.0. With the introduction of v4.0, Vembu supports backing up virtual machines running on Hyper-V cluster environments. Even when virtual machines that are being backed up on a particular Hyper-V host are moved to another host, the backup will continue to function without any interruptions. Previously, Vembu was using changed block tracking for keeping up with changes between each incremental backup. Starting with Vembu BDR Suite v4.0, Vembu is now working off a checksum mechanism to determine the changes that need to be backed up between the backup iterations. With previous versions of Vembu BDR Suite, the BDR Suite Server had to checkin with the Vembu portal once every 24 hours or it would be deactivated after 7 days of failed attempts. Now with Vembu BDR Suite v4.0, once the server has been activated, unless a new client is activated or the server license needs to be renewed, the server remains activated and no longer needs to communicate with the Vembu portal every 24 hours. With Vembu BDR Suite v4.0, now replication jobs can be aborted within the OffsiteDR Server. With Vembu BDR Suite v4.0, you now get a recovery report for Quick VM Recovery jobs such as the VM Name, recovery point, start and end time, the hypervisor being targetted and the status of the job. You can now manage the credentials of a host and the guest virtual machines using the Vembu credential manager instead of having to enter the credentials each time. With Vembu versions previous to v4.0, only SQL log truncation was possible with Hyper-V virtual machines. With Vembu BDR Suite v4.0, now full application aware processing is possible with Hyper-V virtual machines. Now with v4.0 there is feature parity with application aware processing between the capabilities for VMware vSphere and Hyper-V. Previously, the backed up Hyper-V VMs are recovered using the shared path of the target host. of the backup jobs got interrupted due to any network failure, it will continue from where it left. Vembu BDR Suite v4.0 Announced Including Hyper-V Cluster Support is great news for Hyper-V customers looking to protect their Hyper-V clusters with Vembu’s solution. The new features for Hyper-V are certainly welcomed additions to Vembu’s feature set that will only strengthen the Vembu solution across multiple hypervisor environments and certainly those making use of Microsoft’s Hyper-V platform. 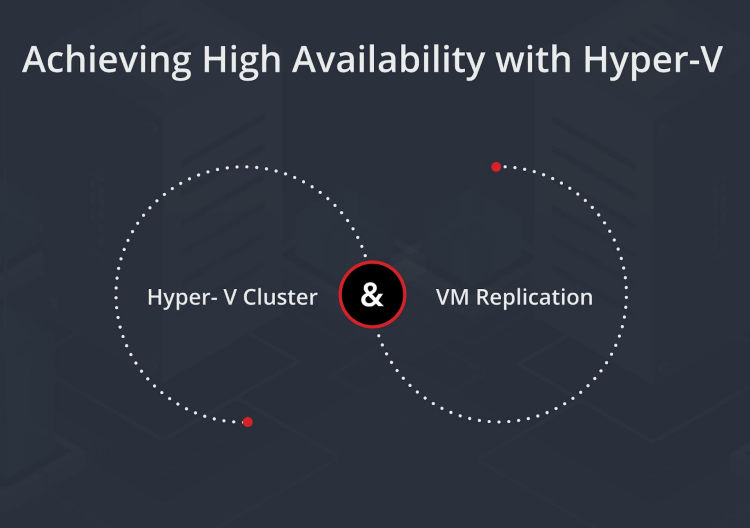 Really supporting Hyper-V clusters is crucial for any data protection solution as this is certainly the configuration utilized to run production workloads for high availability. Be sure to check out Vembu’s BDR Suite trial which allows you to run the fully featured version of the product without limitations. You can even choose to let the trial turn into the free version with either full supported features for (3) VMs or limited features for unlimited virtual machines.